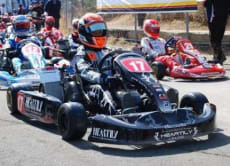 I'm a racing driver competing in various races: Single seaters, Sports car, and Kart racing. Climbing (Bouldering), Traveling abroad, etc. India, Sri Lanka, France, Monaco, China, Hong Kong, and Macau. In India and China I stayed 6 months. Now I'm studying English and Chinese. Let's have a wonderful time together! Try kart racing in Osaka, Japan!